CPK's legendary BBQ sauce, smoked gouda, red onions, cilantro, Nueske's applewood smoked bacon on a gluten-free crust. A combination of rustic and spicy pepperoni, fresh mozzarella, wild oregano, white truffle oil, on a gluten-free crust. Cremini mushrooms, rustic pepperoni, spicy italian sausage, torn basil, mozzarella, wild oregano on a gluten-free crust. A classic. Italian tomatoes, fresh mozzarella, basil, parmesan cheese on a gluten-free crust. 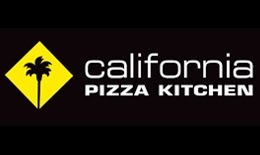 California Pizza Kitchen's gluten-free pizzas are prepared using the strict procedures approved by the Gluten Intolerance Group (GIC), using a certified gluten-free crust and other ingredients verified by their suppliers as gluten-free. Inform your CPK manager of any allergies or dietary needs before ordering. Any CPK pizza can be made with the gluten-free crust. However, only the pizzas listed above are prepared using the CIG's certified procedures. This menu is provided by TheGlutenFreeMenu.com as of April 30, 2014. The Gluten Free Menu is not associated with California Pizza Kitchen® Please check with the restaurant before consuming any menu items. We are not responsible for any information that is incorrect. This menu is only a guide and it should not be relied upon without checking with the local branch of the restaurant. 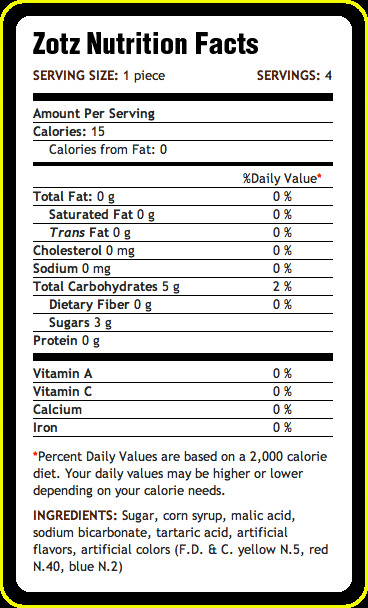 Question: Are Zotz® Candy Gluten Free? Answer: Yes, Zotz® appear to be gluten free. However, please check the individual packages label, ingredients may change.